One man is in custody and another man was seriously injured after a stabbing on Preamble Place in Boise. BOISE — Boise Police officers used tasers to subdue a stabbing suspect Thursday morning outside a southeast Boise home. Officers responded just before 11 a.m. to reports of a man attacking another man with a knife outside a home on the 3900 block of Preamble Place. 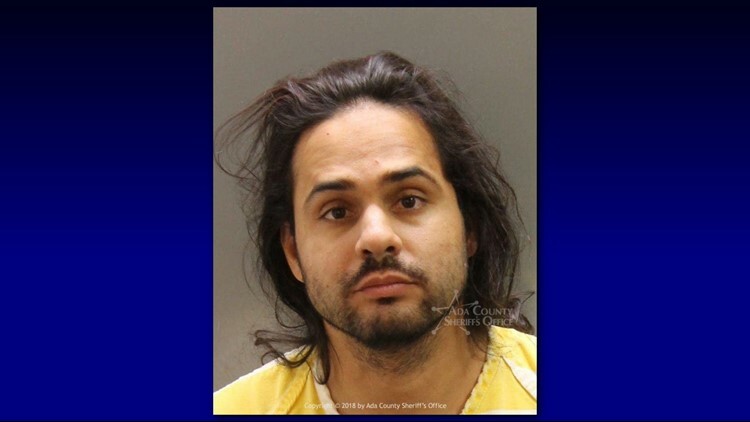 When officers arrived at the scene, Ruben Diaz, 36, of Boise, was still holding a knife and did not comply with officer commands, according to Boise Police Department officials. Ruben Diaz, 36, of Boise, is charged with one count of attempted murder and two counts of aggravated assault. The officers deployed tasers to subdue Diaz and took him into custody without further incident. He was booked into the Ada County Jail on one count of attempted murder and two counts of aggravated assault. The victim, a 74-year-old man, was transported to a nearby hospital with serious but non-life-threatening injuries, according to Boise Police. The stabbing suspect and victim didn't appear to know each other. The victim was doing yard work when Diaz approached and started stabbing him with a knife, police said. Police say those who reported the attack were part of a neighborhood watch program. They were vital in helping police find the stabbing suspect and arrest him. “That assisted officers in quickly being able to locate where this was happening, who was involved, and being able to quickly make a determination how we would respond and get the suspect into custody quickly," said Boise Police Lt. Steve Butler. Police say the scene is secure and their investigation is ongoing. Preamble Place was closed to southbound traffic at Bergeson Street but has since reopened.